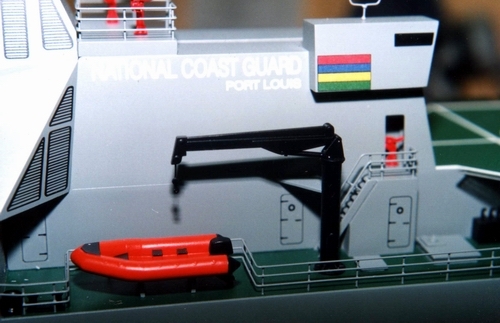 The CGS Vigilant, a National Coast Guard Patrol Cutter ordered by the Government of Mauritius, from the Western Canada Marine Group in early 1994 was plagued with problems right from the start. 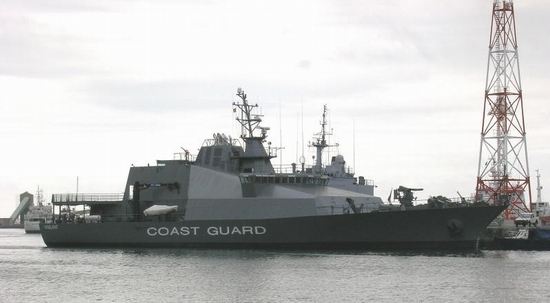 I understand this vessel has been out of service for a long time now, with mechanical problems, and the Mauritius Government have it up for sale. 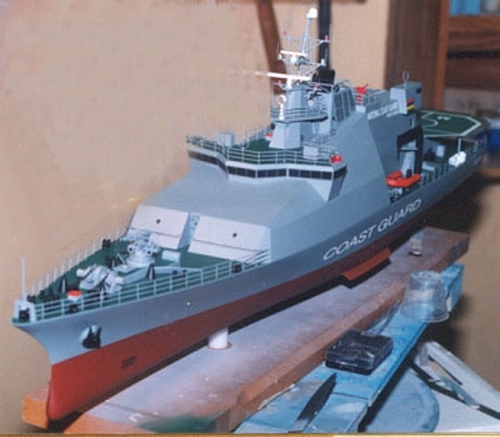 It was built in Chile, at a cost of 322 million, by a Canadian consortium, for the Mauritius Coast Guard. 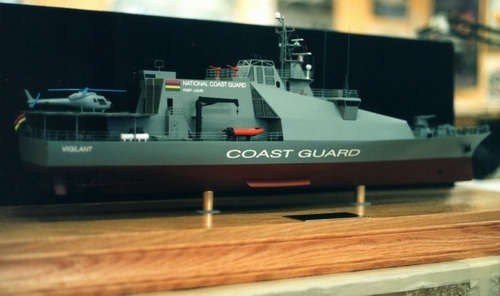 We were contracted to build the model by the designers of the vessel, Polar Design. 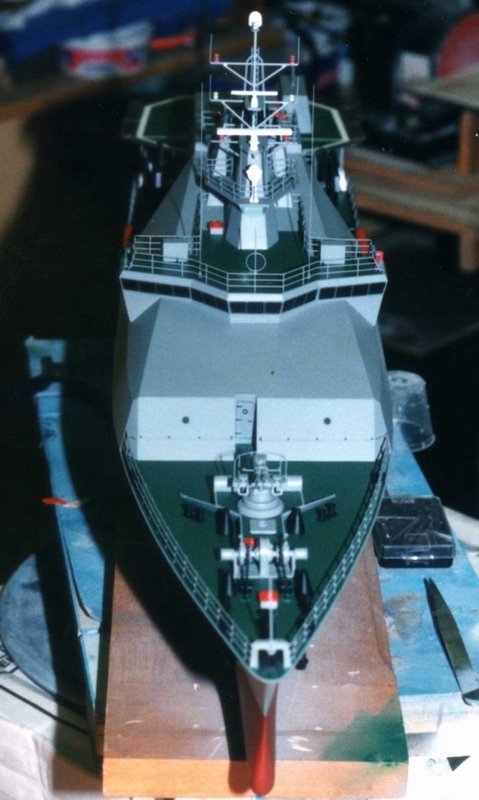 It was a really interesting model to build, with a very sleek designed hull, which we cast in fiberglass in a Silicone Rubber mold. 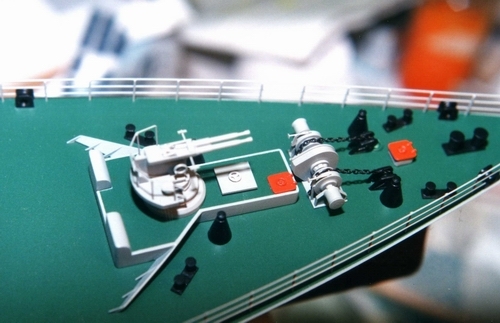 The superstructure was built entirely of plexiglas and styrene sheet, with hand soldered wire railings. 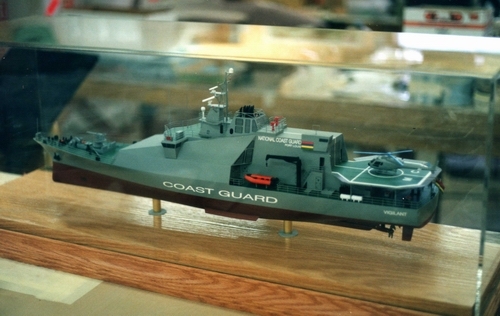 My Son Barry was responsible for the construction of this vessel, from start to finish ... great job, beautiful model.